Treasury Consulting Pte Ltd Fixed Income Platform would be an annual affair. Every Year during Sep-Dec Period we would be launching latest version of our Fixed Income Platform. 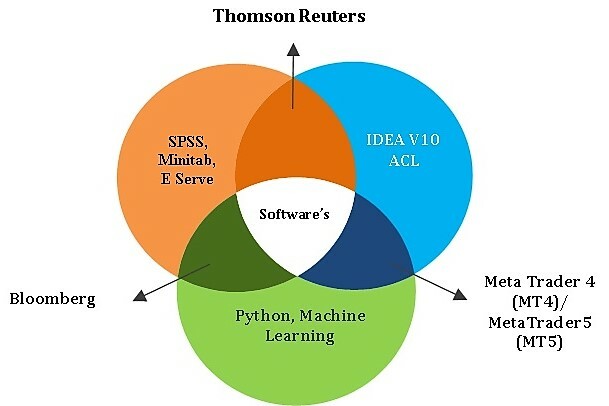 Latest version would cover Technical, Functional, Latest Technology, Enhancement in Pricers, Robotics Trading and all aspects in Financial Markets. Eventually by 2020 our Fixed Income Platform would end up a Hosting Platform / Treasury Management Systems (TMS) integrated with all ERP Packages. Role Played as an Ex. Group Corporate Treasurer of EXL Service Holdings, Inc.
EXL Service Holdings, Inc. is amongst top 10 Business Process Outsourcing & Transformation (BPO) Companies across the Globe having operations in almost 35 Countries of the world covering United States, Europe, Global Level, Philippines, Singapore, Latin America and Rest of the World (ROW). EXL Service Holdings, Inc. is having annual Top line of $ 628 Million along withMarket Capitalization of over $ 1.6 Billion on United States based bourse NASDAQ (NASDAQ Tick - EXLS). EXL looks deeper. 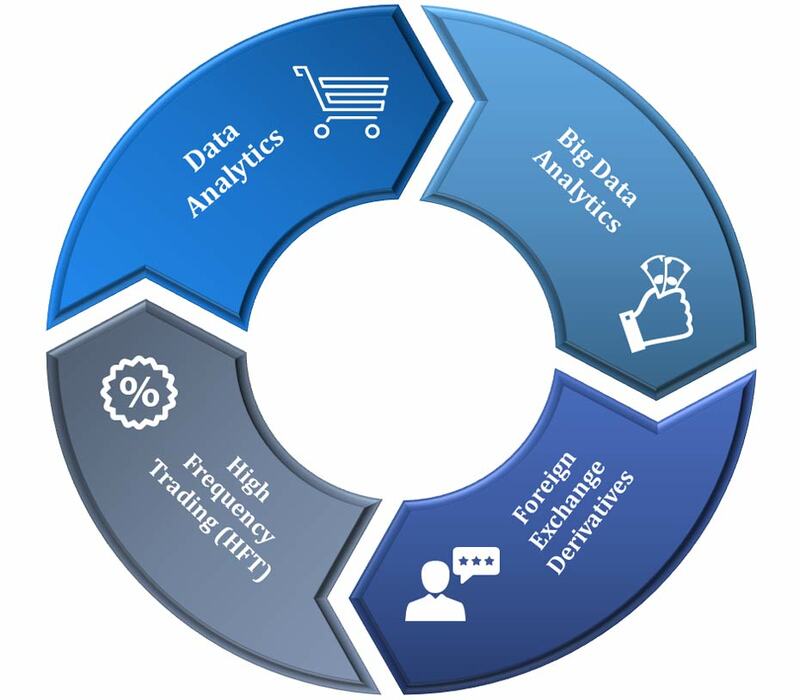 Our solutions integrate operations management services, decision analytics and technology platforms to deliver immediate results and long-term business impact. 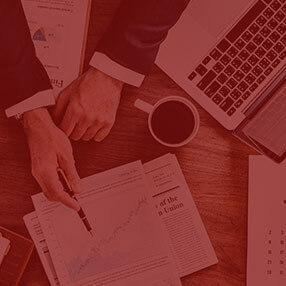 We work as a strategic partner to help our clients streamline business operations, improve corporate finance, manage compliance, better adapt to change, and create new channels for growth. 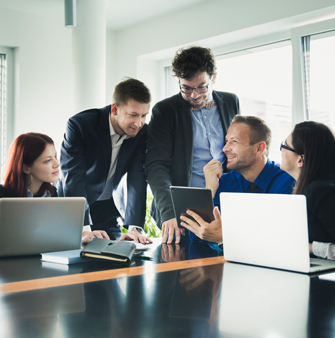 Serving organizations in insurance, healthcare, banking and financial services, utilities, travel, transportation and logistics, we deliver solutions from wherever clients need them. Headquartered in New York, EXL has approximately 30,000 professionals in locations throughout the United States, Europe, Asia, Latin America, and Africa. As a Group Corporate Treasurer taking care of core Treasury Desks like Treasury Front Office Desk, Treasury Middle Office Desk, Treasury CFO Desk (Treasury Mgmt. Reporting Desk) and Treasury Research Desk. Role Played as anEx. Group Corporate Treasurer of EXL Service Holdings, Inc.
As of today holding more than decade of work experience as a Group Corporate Treasurer covering Treasury Functions of Prominent Information Technology Enabled Services (ITES), Information Technology (IT) Companies like EXL Service Holdings. 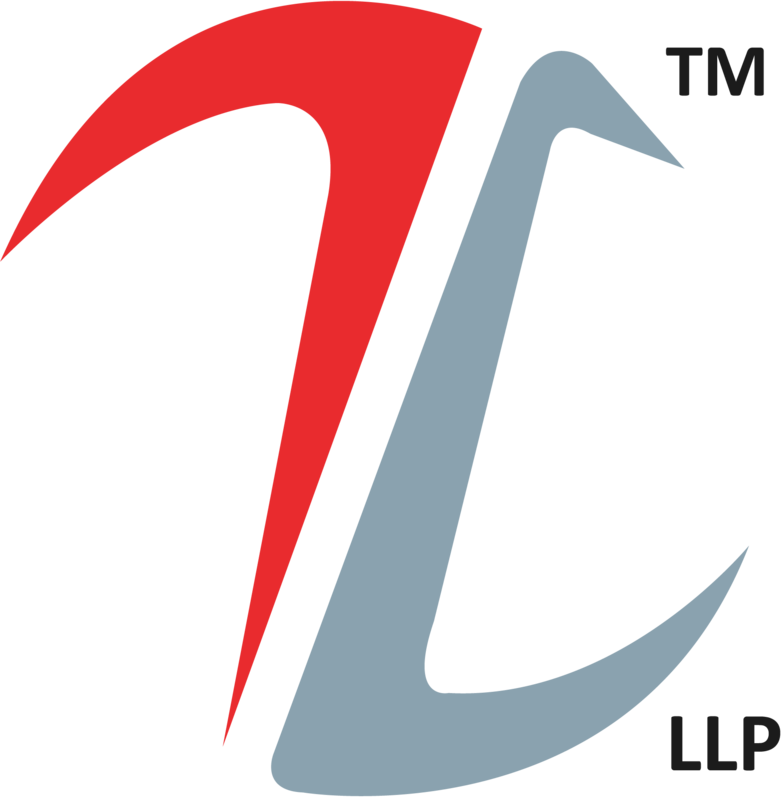 Inc. (United States NASDAQ Listed Firm) and HCL Technologies Limited (India 3rd Largest IT Exporter) respectively. As a Group Corporate Treasurer covers role of Wealth Management wherebydealt with Front Office Desks of all International Banks, Financial Institutions, Regulatory Agencies.In India dealt withRBI , SEBI , FMC where by covering almost all kinds of Asset Classes & Valuation Techniques like Derivatives , Currencies , Technical Analysis of Assets Classes , International Tax Planning on Cross Border Investments , Mutual Funds , Term Deposits , G Sec Securities or Gilts ( Treasury Bills , Cash Management Bills , Treasury Notes , Treasury Bonds ) , MTN ( Medium Terms Notes ) , Foreign Currency Loans & Borrowings , Equity Financing , Balance Sheet Funding , Commodities and respected others. 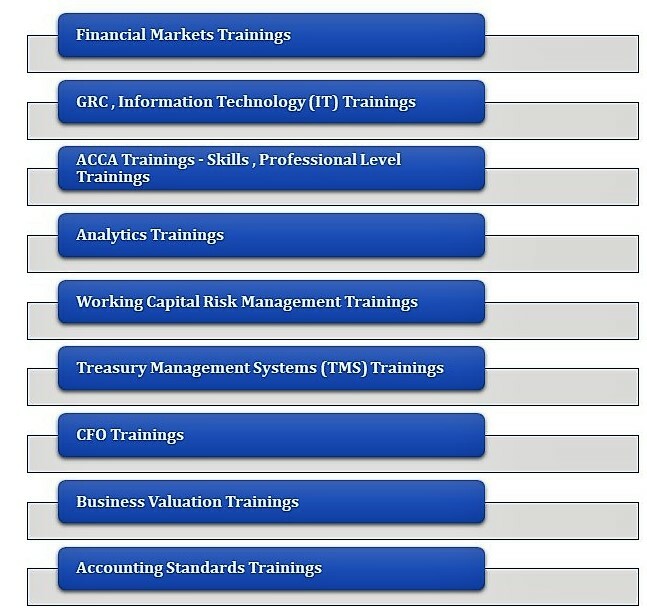 The following are the Trainings Programs offered by Treasury Consulting LLP across the Globe whereby covering United States, European Financial Markets, British Markets, Asia Pacific Region, Australia & New Zealand (ANZ), OPEC Region, Philippines and African Markets. 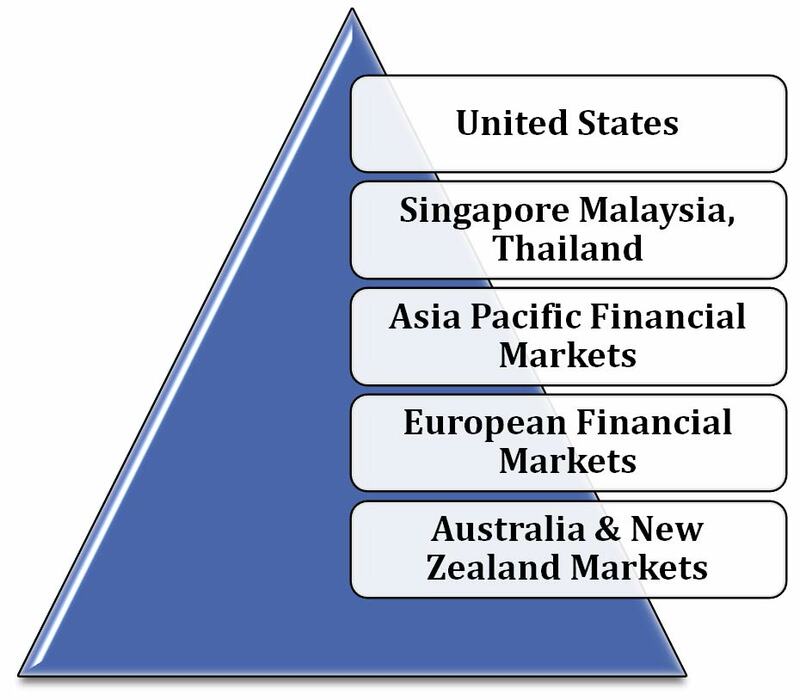 **Fixed Income Markets Courses covering Offshore Treasury Centres like Singapore, New York, Australia (Sydney,Melbourne), Japan (Tokyo), European Union (London,Luxembourg,Frankfurt),British Financial Markets, Dubai, China (Shanghai),Hong Kong, Philippines and respective Offshore Treasury Centres. **ERM - Enterprise Risk Management. ** IT Audits covering SOX 404, COSO, COBIT, NIST, Cyber Security, SOC Reporting, Web trust, Systrust, Attestation Standards, ITIL, ANZ DB. 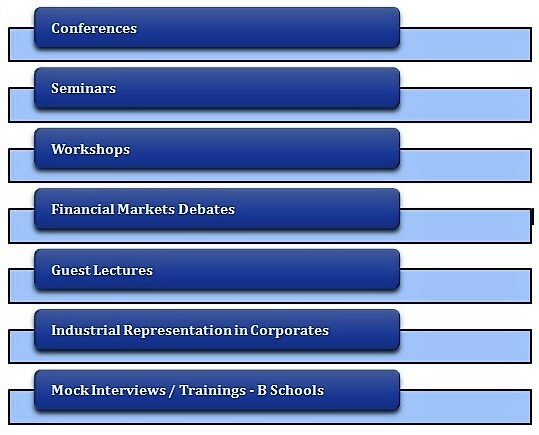 Acting as a globally recognised Speaker covering the following for respective forums. Founder of the Brand - "Foreign Exchange Maverick Thinkers (FEMT)"
Founded own Brand "Foreign Exchange Maverick Thinkers (FEMT)" duringcollege days. The purpose of the brand is to educate people from different parts of the Globe covering variety of topics. Presence of Treasury Consulting LLP Brand - "Foreign Exchange Maverick Thinkers (FEMT) "
LinkedIn & LinkedIn Academies: LinkedIn Networking of 80 Million across the Globe which covers Corporate Treasurers, CFO, CEO,Bankers, Corporate Finance Professionals, Finance Controllers, Board Members, Information Technology Experts,PHD's, Management Graduates and respective members. 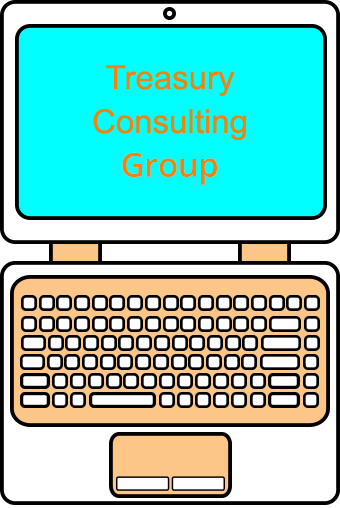 The following are LinkedIn Groups maintained by Treasury Consulting LLP having over 4000 members. You Tube Channel:Our You Tube channel - "Foreign Exchange Maverick Thinkers "covers over 50 Technical Videos covering Foreign Exchange Risk Management, Treasury Risk Management, Onshore & Onshore Treasury Markets (Singapore, NY, London, Luxembourg, Frankfurt, Australia, Japan, Philippines, Dubai), Interest Rate Derivatives like Interest Rate Swaps, Credit Swaps, Total Return Swaps, Credit Default Swaps, Fixed Income Markets (Money Markets, Debt Markets, Capital Markets), International Accounting Standards (IFRS, US GAAP, International Accounting Standards, IND-AS, Indian GAAP), Corporate Finance , Strategic Finance , Fair Valuation , Business Valuation , Investment Banking and respective topics. You Tube Playlists:The following are the playlists maintained by our You Tube Channel covering 500 Technical Videos. Daily Motion Channel / Metacafe Channel:On the lines of our You Tube Channel we are developing another 2 Channels which would be on Daily Motion, Metacafe. Both the Channels would be covering all 450 Videos which we have on You Tube. Technical Content of both Daily Motion, Meta Cafe Channels remains as original as we have of our You Tube Channel. WhatsAppProfessional Groups:Treasury Consulting LLP managing over 40 Professionals Groups on WhatsApp whereby we are managing more than 8000 Professional members covering respective topic. Extensive list of Groups is well available in our Monthly Newsletter. Telegram Professional Groups:On thelines of WhatsAppProfessional Groups having several Professional Groups on Telegram App whereby we are managing more than 2500 Professional members across the Globe covering variety of topics. Foreign Exchange Academies - Skype, Twitter:Treasury Consulting LLP is having dedicated Foreign Exchange Academies on Skype, Twitter whereby connected with several hundred Professional members and covering almost all aspects of Foreign Exchange Markets. Using Skype App we do provide Webinars as well covering members placed in International Markets. Google Groups ~" Foreign Exchange Maverick Thinkers ": -Treasury Consulting LLP do havehis own Google Group which is further attached with Digital Library full ofForeign Author Books, Financial Modelling Excel based Models, Cash Flow Modelling Models, Risk based Models, Accounting Guides, RBI Master Circulars, CFA Books and respective others. Well as of now Google Group is having more than 5000 members spreading across the Globe. Google Blog "Maverick TreasurersBlog: - Launchedour own Blog on Google where by the purpose is to link with members across the Globe. As of now Google Group is covering all the topics from Foreign Exchange till Business Valuation. Group is open to all the members across the Globe. AMAZON, Joomagand Magzter:Treasury Consulting LLP is having dedicated presence on biggest Digital Platforms like AMAZON, Magzter and Joomag whereby selling his flagship Magazine - "The Maverick Treasurer". Our upcoming Magazine titled - "The Fraudster" would be available on same Digital Platforms. During Year 2017 we would be launching Paperback versions of both Magazines as well which would be available in Physical shape. 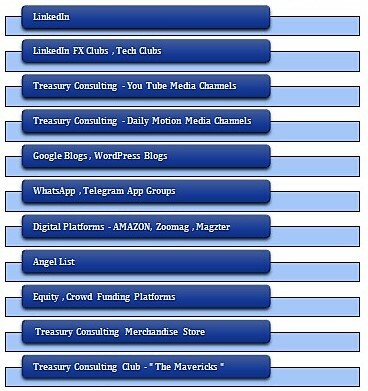 Angel List / Crowdfunding Sites:Treasury Consulting LLP, Our Brand- "Foreign Exchange Maverick Thinkers "is having dedicated presence on Crowdfunding, Equity Funding sites like Angel List, Rocket Hub, Crowd Funder and Kick Starter. Over the period we would be adding more such platforms for our self, Treasury Consulting LLP and our Brand. The following are the Awards, Citations, Global recognitions received by me, Treasury Consulting LLP till now. Treasury Consulting LLP nominated by IE 20 which is Emerging India Awards. Under this profile of Treasury Consulting LLP would present before British Mayor + Jury during June 2017. Treasury Consulting LLP is nominated for Corporate Information Technology Awards under Analytics Category. Treasury Consulting LLP is nominated for Live mint Emtech Awards under Innovation Category. Wrote 2 Articles for Institute of Cost Accountants of India covering IND-AS, Libor & Impact on Chinese Yuan. The same got publish in their WIRC Journal. Regular Speaker at Euro Finance Annual Singapore Conference, Asia Pacific Conferences. Interview by Treasury Today Asia (Asia Largest Treasury Magazine) covering my entire Career as a Corporate Treasurer, Life as Corporate Treasurer, Role as a Corporate Treasurer, My Brand - " Foreign Exchange Maverick Thinkers " and spread of our Brand. Founded my own Brand - "Foreign Exchange Maverick Thinkers "having strong presence on LinkedIn, LinkedIn FX Club, You Tube Channel, Daily Motion Channel, Derivatives Groups on WhatsApp,Telegram, Derivatives Academies on Facebook,Skype, Google Groups, Google Blogs, Google digital Library, XING. We do have strong presence on Crowd, Equity Funding platforms like Angel List, Crowd Funder, Rocket Hub,and Kick Starter. 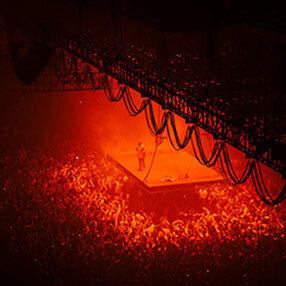 Today we are serving millions of people via our Brand. Invitation by Singapore Management University (SMU) to develop course content on "Information Technology & Financial Markets"
Founded Monthly version of the Magazine titled - "The Fraudster" covering Frauds, Forensics, Analytics, Business Continuity Planning (BCP), Disaster Recovery,Internal Financial Controls (IFC) and respective. Interviewed by HK based leading Treasury Magazine "Corporate Treasurer "in Jan'16 covering "FII Investments and Impact on USD/INR "
Treasury Consulting covering Corporate Law, ISO Advisory, Anti Money Laundering (AML), Insolvency & Bankruptcy Code, Cyber Security & Blockchain Legality. Treasury Consulting Valuation Desk covering Valuation of Fixed Income (FI) Instruments, Foreign Exchange (FX), Energy Derivatives, Commodity Derivatives, Structured Finance Derivatives & respective instruments. Treasury Consulting Chapters covering - "Asia Frauds Chapter", "Data Analytics Lab", "Family Office Desk", " Club - "The Mavericks" & Brand - Foreign Exchange Maverick Thinkers. Treasury Consulting Pte Ltd (A Singaporean Multinational Group) launching Webinar Calendar covering almost all the topics. All webinars would be supported by live Tools.